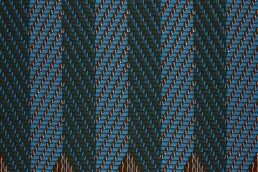 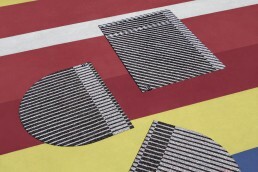 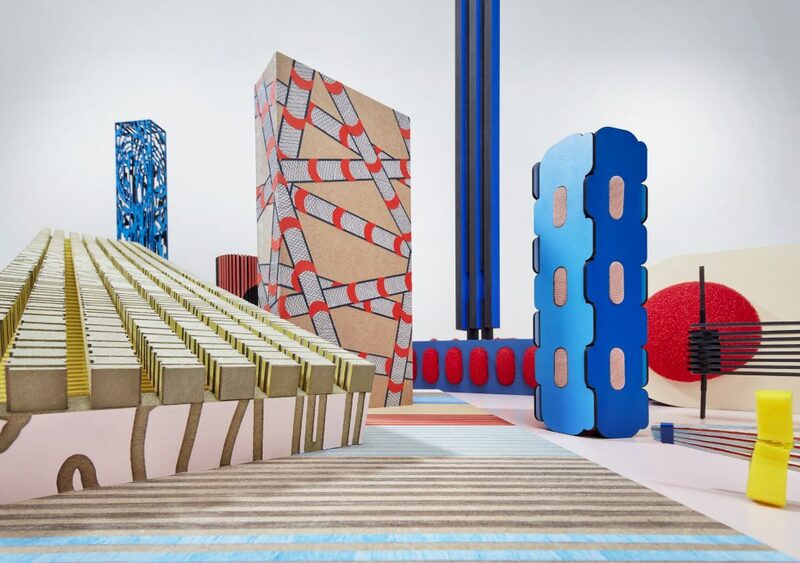 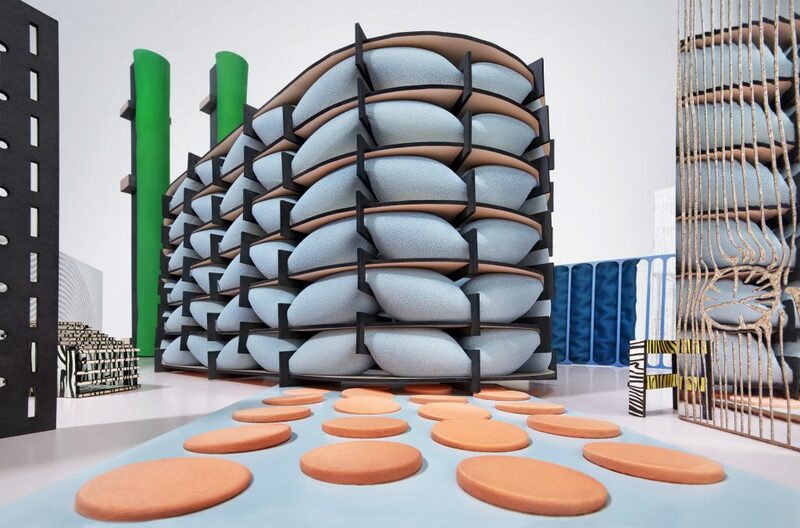 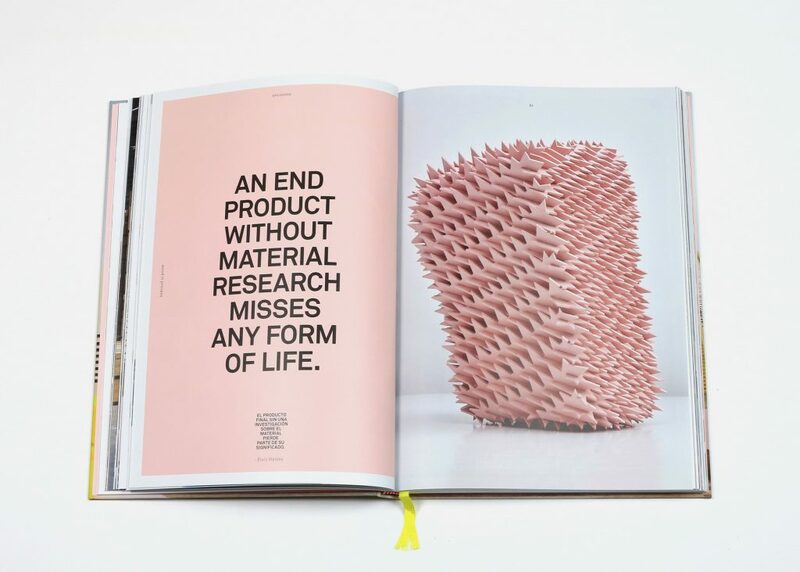 From Milan, to Eindhoven, London and New York, design collective Envisions presents its material experiments at various international exhibitions. 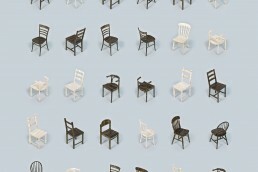 These are all temporary. 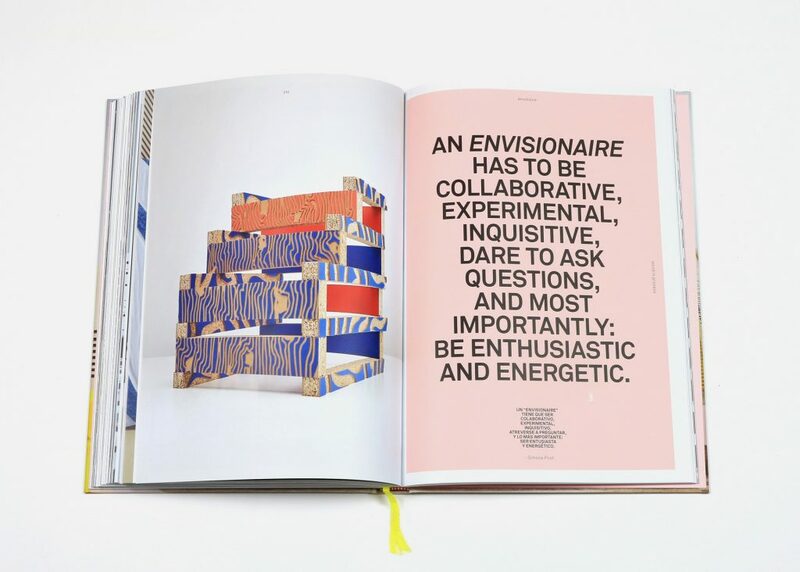 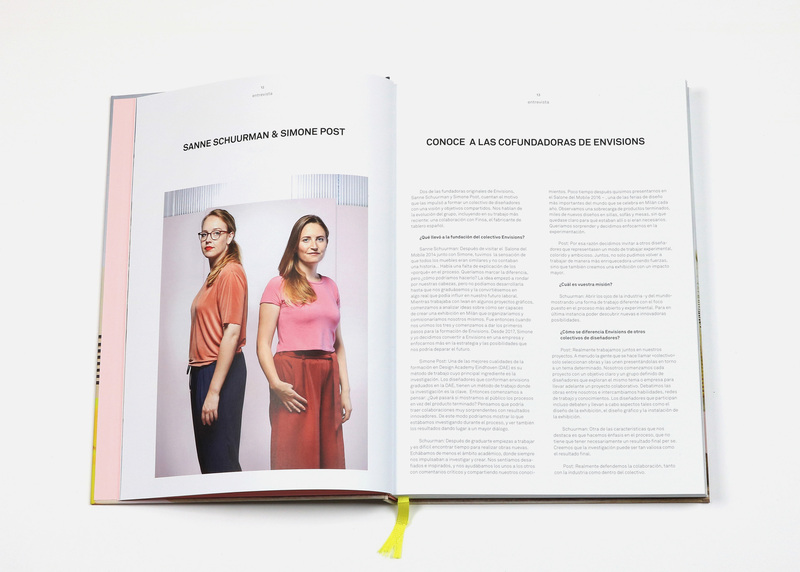 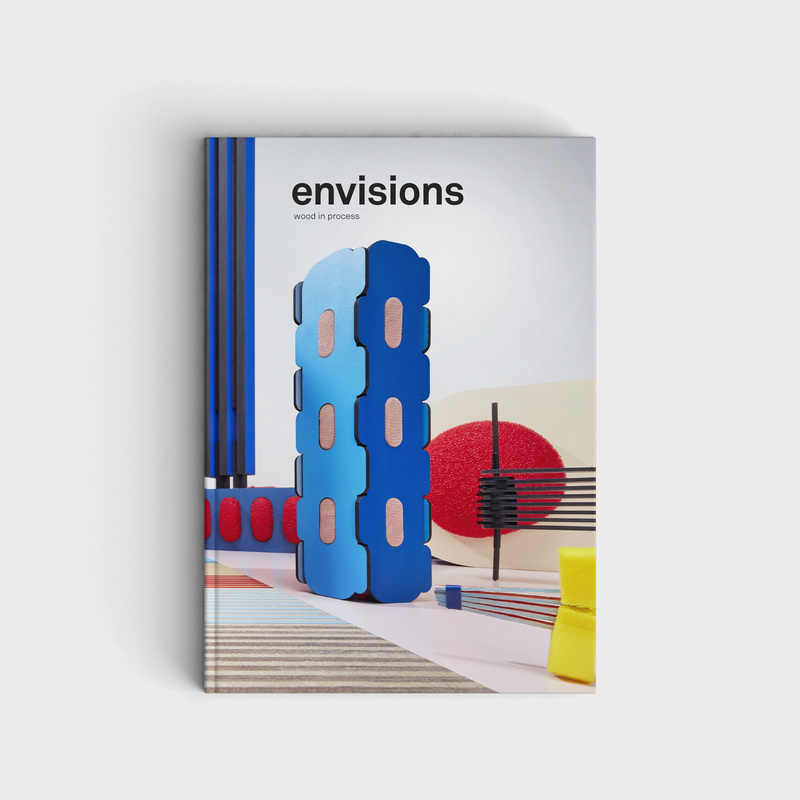 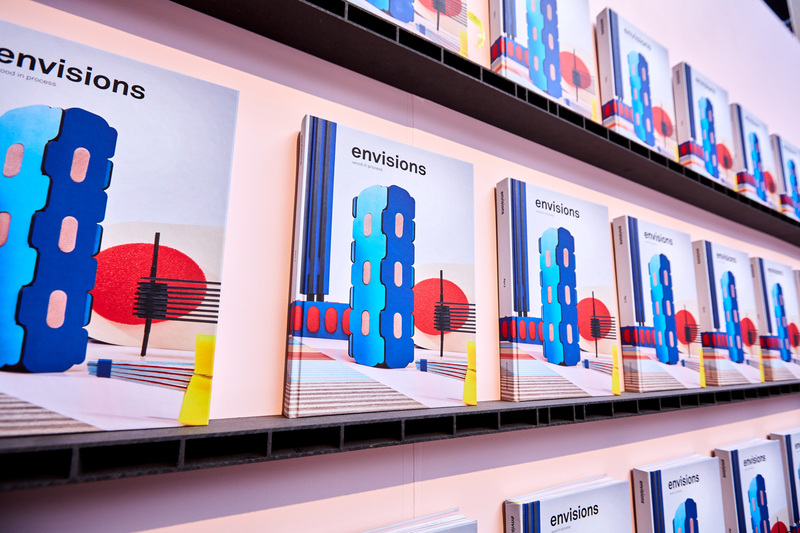 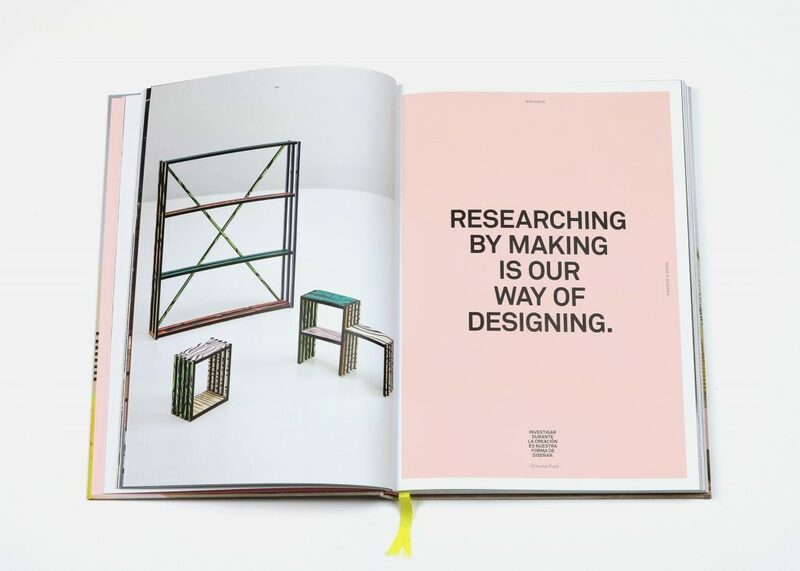 To permanently capture the processes, the Envisions designers go through, report the complete research they do, and to inspire manufacturers to be open for experimentation, the collective occasionally produces an inspirational book. 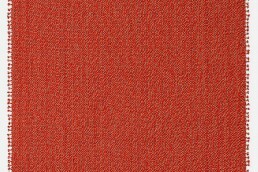 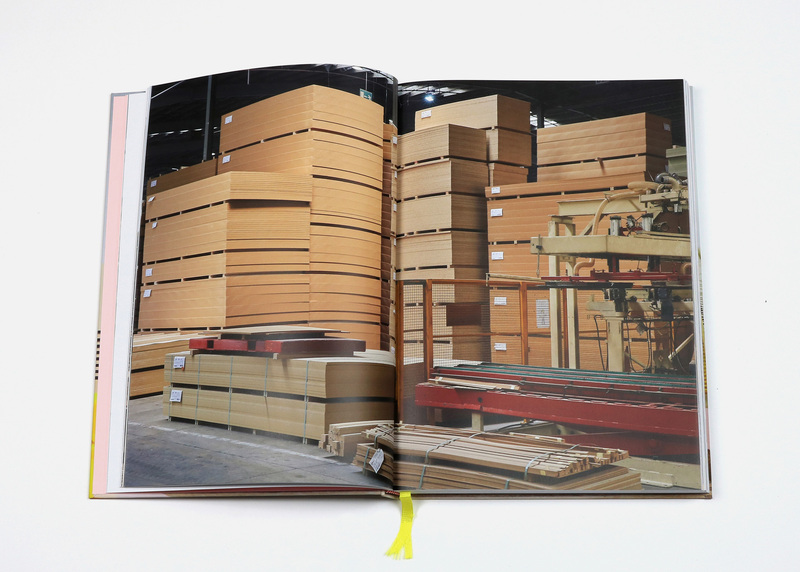 ‘Wood in Process’ contains the works arising from the first industrial collaboration of Envisions with Spanish wood manufacturer Finsa. 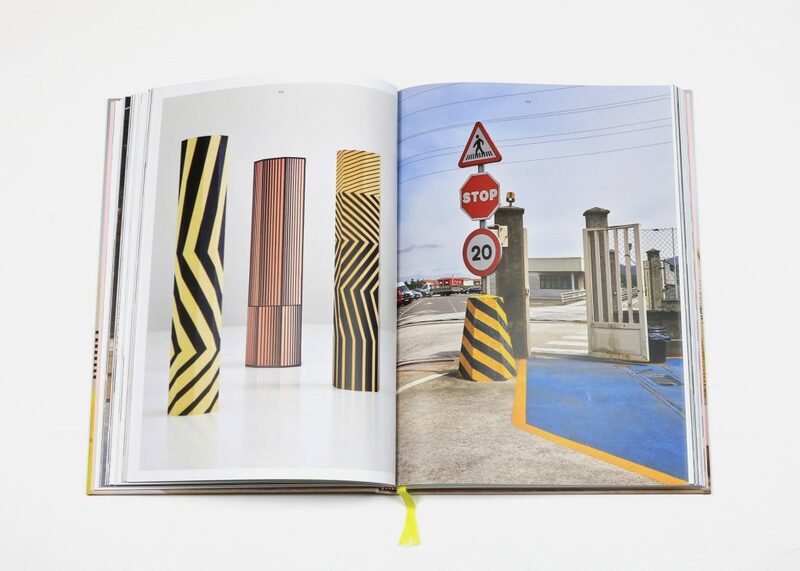 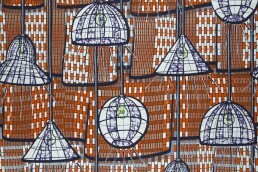 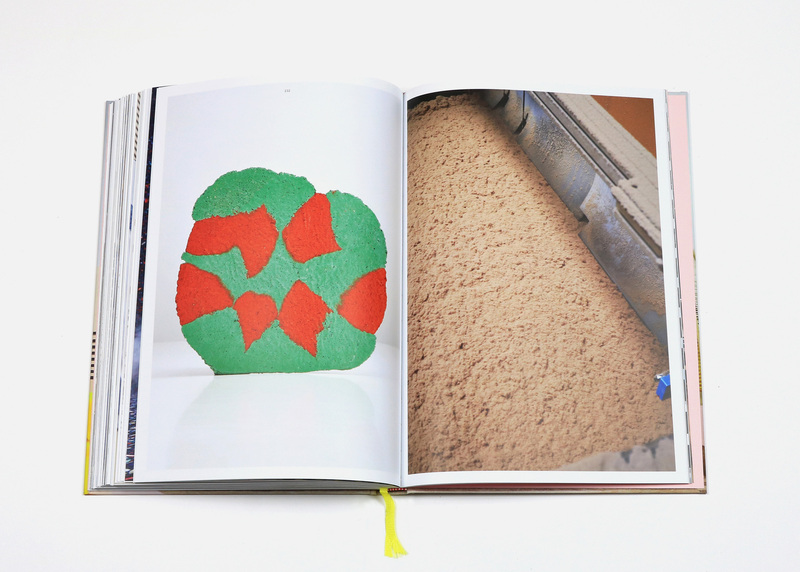 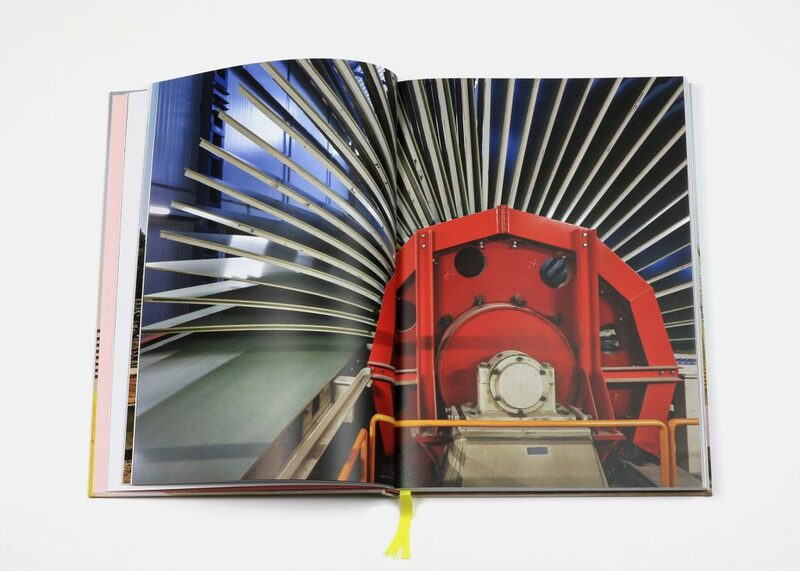 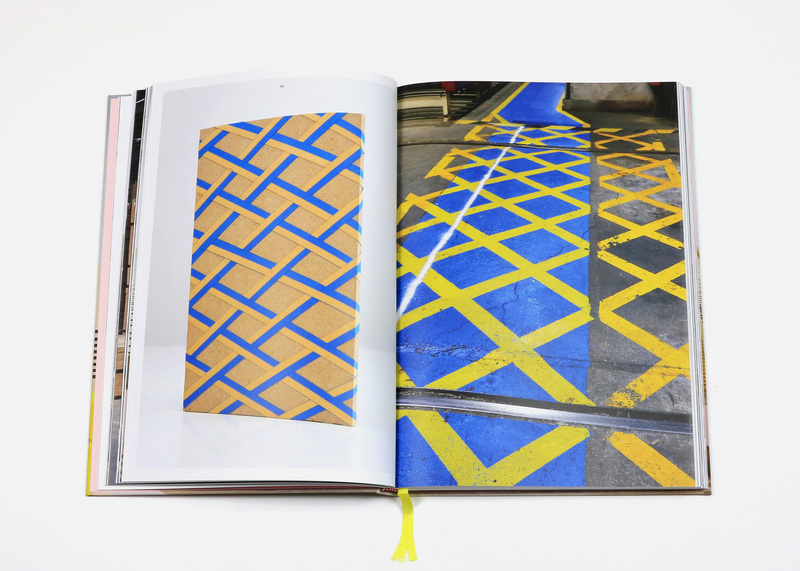 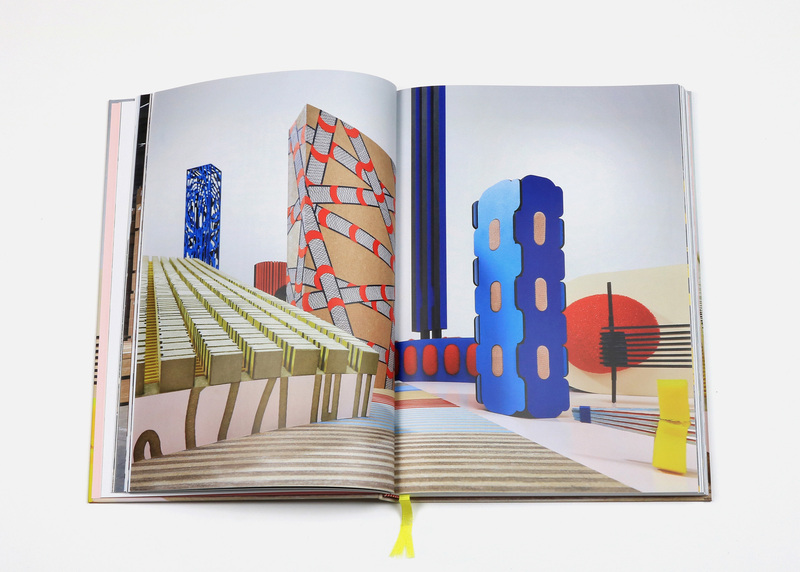 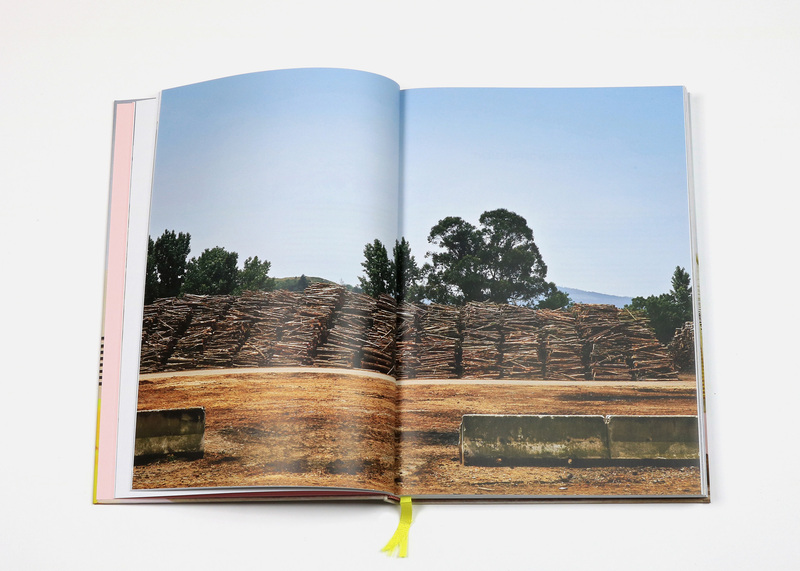 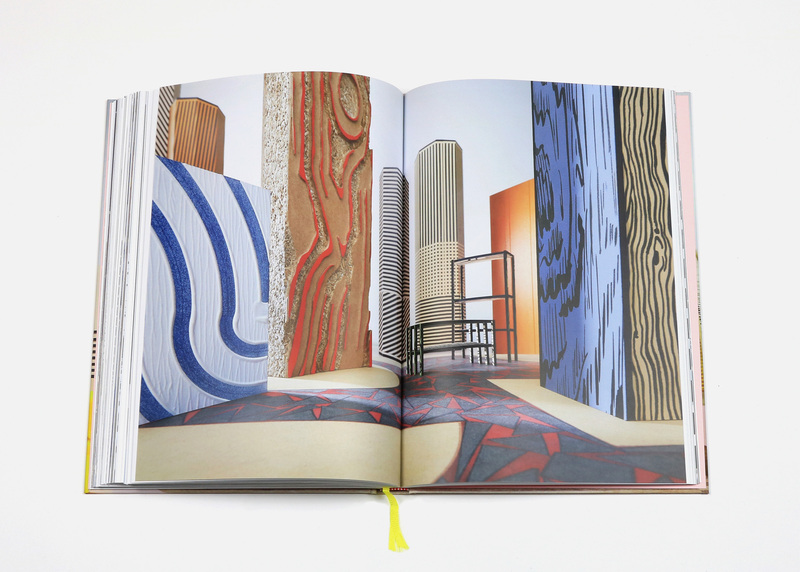 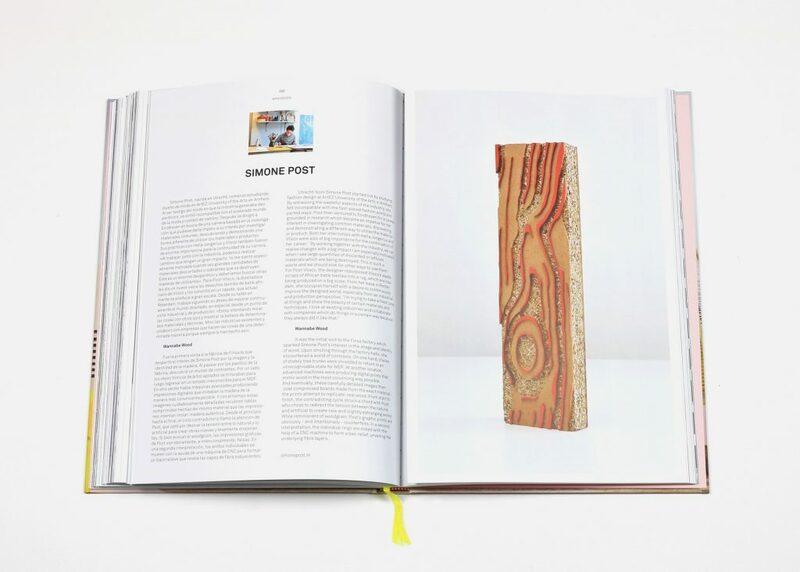 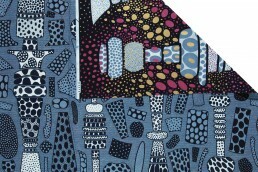 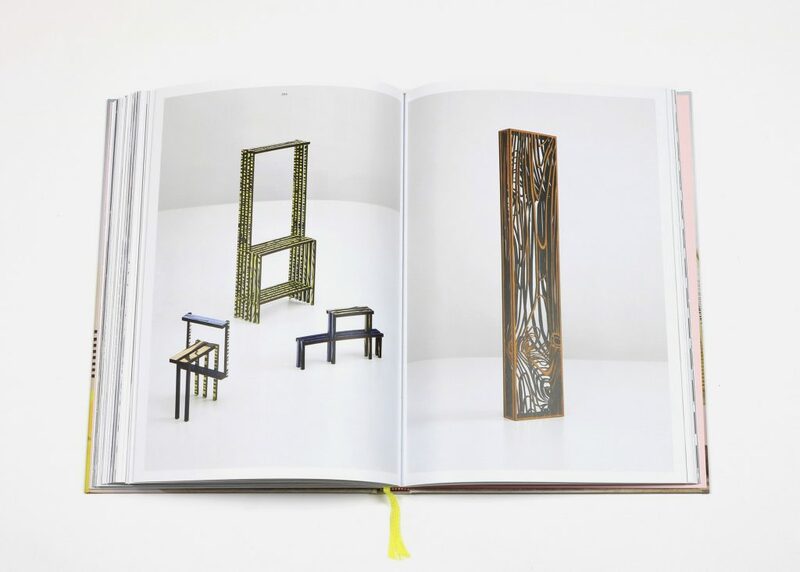 The book is designed by Studio Aandacht and contains a preface by renowned Dutch designer Hella Jongerius. 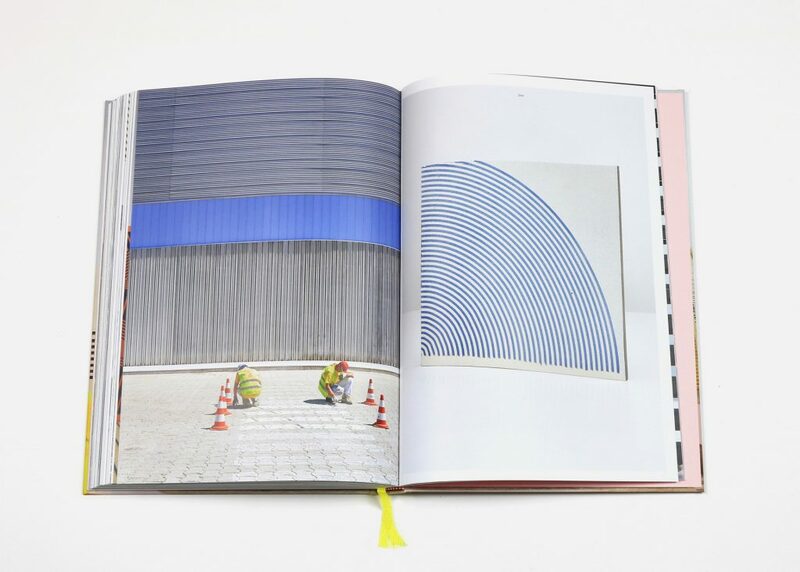 All photography is done by Ronald Smits. 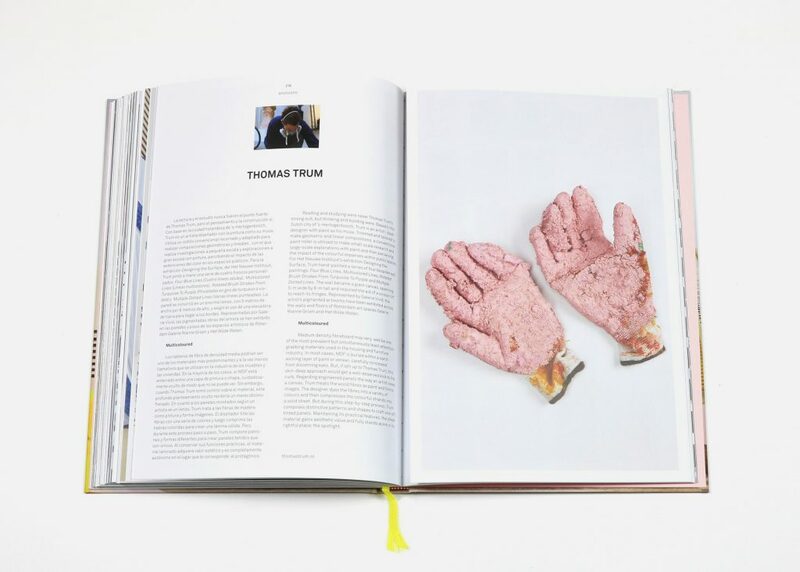 The book contains the works of Aukje Fleur Janssen, Elvis Wesley, Iwan Pol, Jeroen van de Gruiter, Robin Pleun Maas, Roel Deden, Roos Gomperts, Sanne Schuurman, Simone Post, Thomas Trum and Vantot.